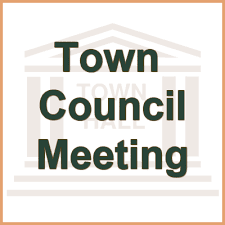 The Windham Town Council met on Tuesday evening, January 15 at 6 p.m. at the Town Hall in the Council Chambers room. Tom Bartell, Executive Director of WEDC wanted to bring the public’s attention to the highway resurfacing project along Route 302. Resurfacing of Route 302 will begin this spring starting .17 miles north of White’s Bridge Road in Windham, extending northwesterly 11.28 miles ending in Naples. After the new pavement is placed, no permit to open this segment of the highway will be granted for a period of 3 years. “Whatever notification you can provide to business and property owners regarding this information would be appreciated,” Bartell told the Council. The Town Council asked Bartell and Tubbs offer a narrow definition of the light services/commercial industry/construction services that could be added to the definition and present it to the Council for consideration at a later date to be determined.